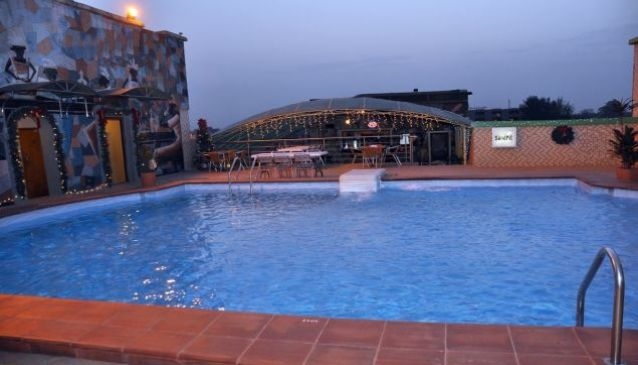 Situated in the capital of Lagos State, Nigeria's commercial centre, Westown Hotel in Ikeja,is 15 minutes from Murtala Mohammed International Airport and 35 minutes from Victoria Island. Whilst in Lagos, you might want to check out some of the attractions the city has to offer: Lekki Conservation Centre, Muson Centre, National Museum at Onikan, Beaches (Eleko,Oniru), Silverbird Galleria and Cinema. The hotel has an exquisite restaurant that serves both Continental and Nigerian cuisine, has a rooftop pool relax and a bar to chill with friends while listening to live music and also you can De-stress at the gym. Other facilities in the hotel are: Wireless internet available, Wired internet available, BarCardio Equipment, Fitness Centre/Health Club and Weight Room.